Michael English founded the National Insurance Agency in 1987. It was his belief that there was a need for an independent insurance agency in Newtown, PA that would not only offer the best value...but also the very best in customer service. Over 25 years later, the entire staff shares Mike's vision of exceptional service, while maintaining great rates for their clients. Despite offering policies from more than a dozen insurance companies, we believe in customer service. For example, when you call the National Insurance Agency the phone is not answered by an automated system...you talk to a person. A person who's anxious to help. 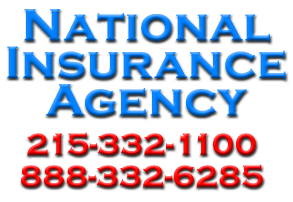 National Insurance Agency is located in Newtown, Pa and services Bucks, and Montgomery counties. Our goal is to get you the best rates on personal insurance for home, health, life, and auto insurance in Levittown, PA.
You'll be glad to know that we offer free notary service. It's our way to say "thanks" to our customers for their confidence in what we do. If the unthinkable occurs...do you have adequate coverage? Our team's 57 years of collective insurance company experience is your best ally when deciding upon your insurance needs. Everyone in our office is anxious to help make sure that you get the best coverage possible at the very best value. But it doesn't end there, we will review your policies on a regular basis to ensure that your best interests are covered. If you're a current National Insurance Agency client...we thank you for your confidence in what we do. If you've yet to become our client...we invite you to see the difference. We are proud of our service to our clients and are equally proud to have been recognized by our industry with a host of awards. Among these, the Capital Insurance Ambassador Award; the Signature Agent Award from Progressive; as well as the Circle of Excellence from Farmers Insurance for many years. Michael founded the National Insurance Agency in 1987. A Temple Graduate, Michael's insurance experience is over 30 years. While Mr. English is well versed in all insurance areas...he specializes in property and casualty. Mitch joined the National Insurance Agency in 1998. 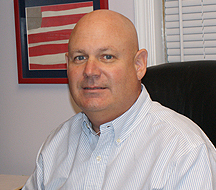 Mitch is a licensed property and casualty insurance agent who serves over 1000 customers per year. 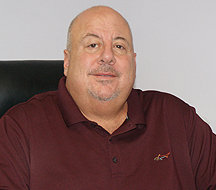 Mr. Shapiro believes in a hands-on approach when working with his customers to ensure they get the very best value with the coverage they require. 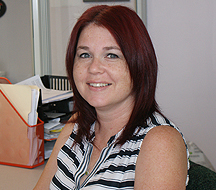 Dana's been with the National Insurance Agency for over a decade. She's a licensed agent for property, casualty, health and life insurances. There's no doubt that the Office Manager is the backbone of an operation. 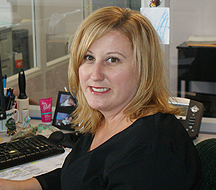 Jennifer has been with use over 10 years and oversees the day-to-day operations in our office.